The 12 inch Plastic Discovery GThe 12 inch Plastic Discovery Globe in a Clearview Mounting allows all regions of the Earth to be researched without being confined to a standard metal mounting. This plastic globe matches the Discovery Maps. Bright colors. Excellent readability.lobe in a Clearview Mounting allows all regions of the Earth to be researched without being confined to a standard metal mounting. This plastic globe matches the Discovery Maps. Bright colors. Excellent readability. 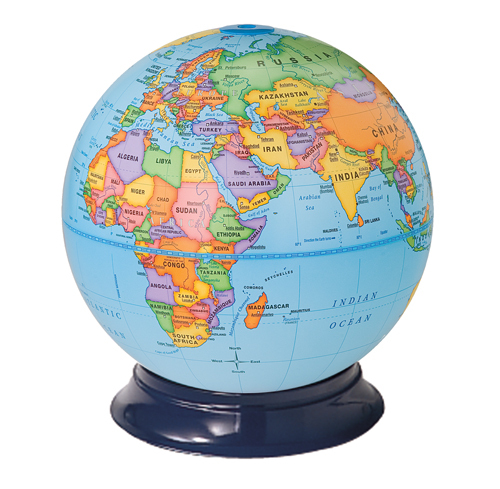 The 12 inch Plastic Discovery Globe in a Clearview Mounting allows all regions of the Earth to be researched without being confined to a standard metal mounting. This plastic globe matches the Discovery Maps. Bright colors. Excellent readability. The 12 inch Plastic Discovery Globe in a Clearview Mounting allows all regions of the Earth to be researched without being confined to a standard metal mounting. This plastic globe matches the Discovery Maps. Bright colors. Excellent readability.